If you love to read, you know there may be nothing better than opening up a book to learn about new information, delve into unique stories and take your imagination elsewhere. If you’re looking for a few new tales to help while the day away, why not go with something that relates to romantic flowers or blooming plants? It’s the perfect way to get geared up for spring. Here are five titles you may find worthwhile. Back in the Victorian era, botanical collectors went searching for new flowers with a frenzy that rivaled the miners who spent their lives scouring the land for gold out west. 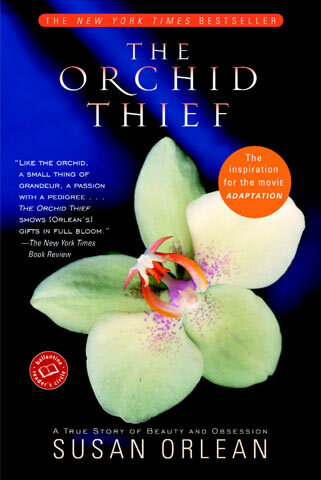 Journalist Susan Orleans managed to find a modern-day enthusiast named John Laroche, who has dreams of cloning the rare ghost orchid Polyrrhiza lindenii to make money. “Zestful . . . a swashbuckling piece of reporting that celebrates some virtues that made America great,” reported the Wall Street Journal in its review. Flowers have long been used to convey messages – especially romantic ones. In this story, those messages are a bit more sinister for Victoria Jones, a woman whose past haunts her. This book focuses on the history of the tulip, a bloom which inspired a huge buying and selling spree in the Netherlands of the 1630s. Historian Mike Dash beautifully crafts the story of the flower, a history involving Turkish sultans, Yugoslav soldiers, French botanists, and Dutch tavern keepers who all had one thing in common – tulipomania. This collection of roses, complete with photographs, explores how some of the world’s favorite flowers got their names. “With vivid accounts of the colorful figures who inspired the names of the roses and with lyrical descriptions of the flowers themselves, Pink Ladies & Crimson Gents is a valentine to the rose, a feast for the eyes, and a delightful gift for any romantic soul,” reports the news source. After the hybrid tea rose was introduced in the 1860s, many of the world’s older roses were forgotten. This book tells the rich histories of these blooms and chronicles the efforts of those who seek to rescue them in modern day society.